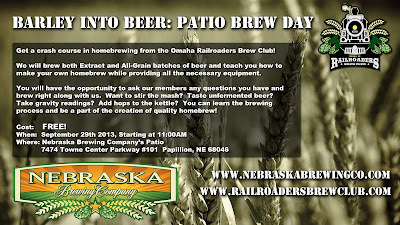 Great Nebraska Beerfest tickets, Brewing Janet's Brown Ale, Rakau Pale Ale, and BJCP Competition Season! Whew it's hard to keep up with everything that's going on right now. 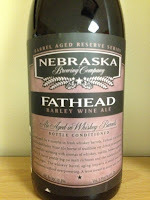 Gearing up for GNBF (Great Nebraska Beer Fest) and getting all of my "summer beers" ready for entry in the upcoming competitions for judging. Not to mention I still have to brew my Marzen for the year and I'm sitting on tons of yeast I need to use. Man there's not enough time in a day! Luckily for me I have a few days coming up without weddings and other distractions. If I can just keep myself away from the computer at home and stop playing video games. I'll be all set. 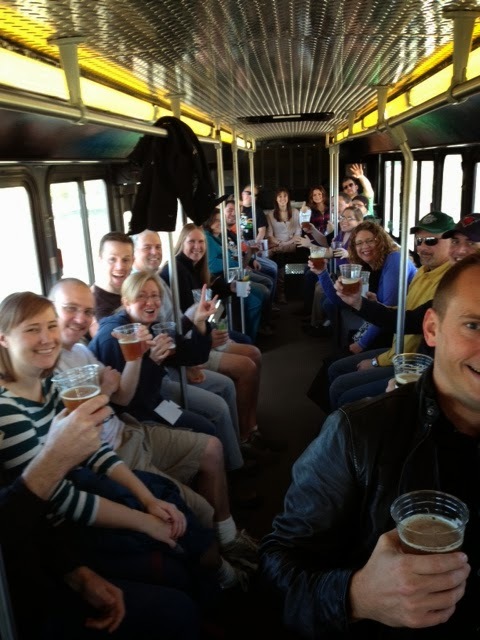 So Great Nebraska Beerfest tickets just went on sale today. And by the looks of it this year's event is going to be even bigger and awesomer than last years. Get your tickets HERE. I'll be making yet another GNBF video cataloging the events of the festival. And interviewing several of the brewers out there. So look forward to that video once it's online. In other news. 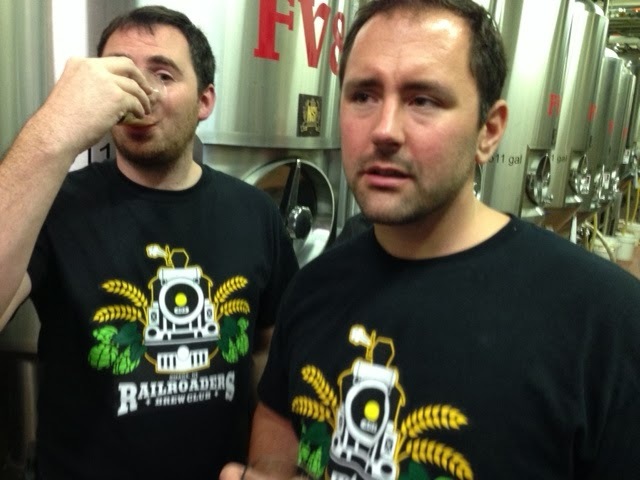 I have still been busy brewing. Marking off the styles as I brew them in my Brewing Classic Styles Book. All of my recipes may not be exact replicas from the book. But I do my best to stay within the style guidelines and brew something that I find interesting, while keeping to the style guidelines outlined by the BJCP. A little over a week ago I made an exception and brewed an exact recipe to style. I made Janet's Brown Ale straight from the book. Using all the exact techniques from the book. This is the first time in a while that I have done this. And it was refreshing to do so. 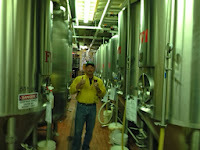 Here I am, brewing this gold medal winning recipe invented by master homebrewer Mike "Tasty" McDole. The whole time I'm thinking to myself "Man I hope I don't mess this up, because if I really nail it this will be a really good beer!" Now I'm in the dry hopping process and waiting for this to be ready to carb up. Then it's being entered in a couple of comps soon. I found the process of "mash hopping" to be interesting. I have never done a mash hop before. But this recipe called for it. And I thought, hey, this could be neat! Not really sure how much it will effect the final product. But if this beer turns out as good as everyone says it is. I'm pretty sure I will try this technique in a few other beers. 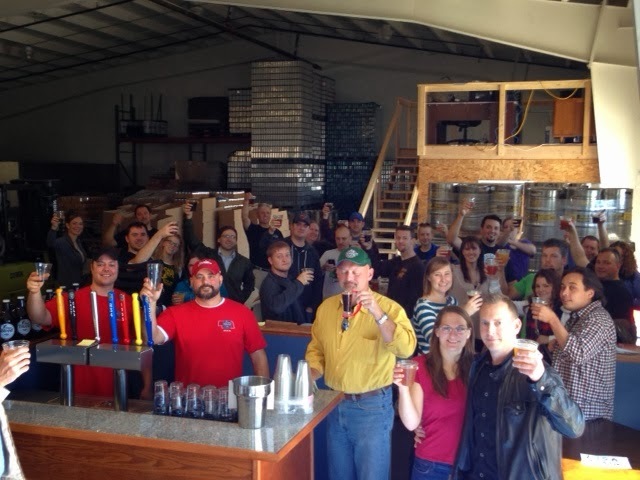 The Dusseldorf Altbier, Nelson Saison, Cream Ale and Amber Ale are all carbing up nicely in the kegerator right now. 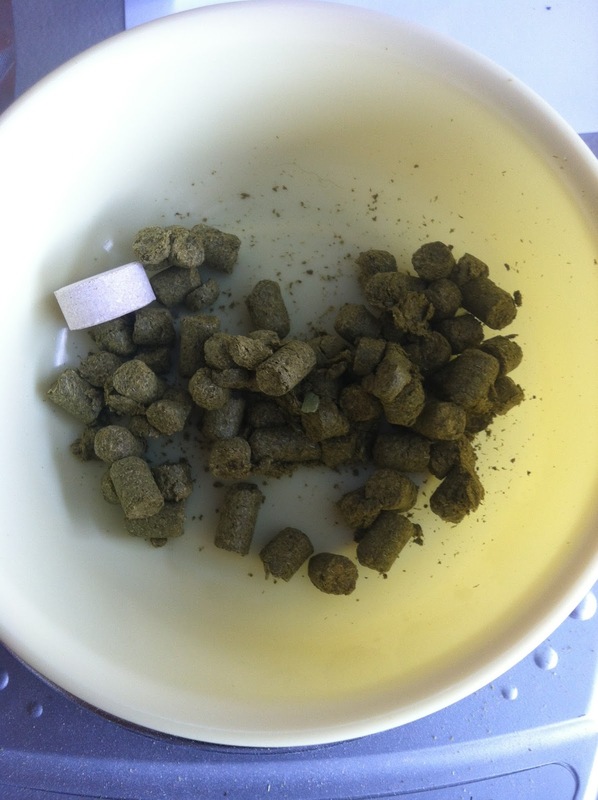 I just brewed an American Pale Ale using all Rakau hops from New Zealand last week as well. (Recipe Here) Earlier this year I purchased a 55 lb. bag of Munich Light and I have plenty of it. So I thought it would be fun to use plenty of Munich in a Pale Ale and see how it would taste as a base malt along with the 2-Row. 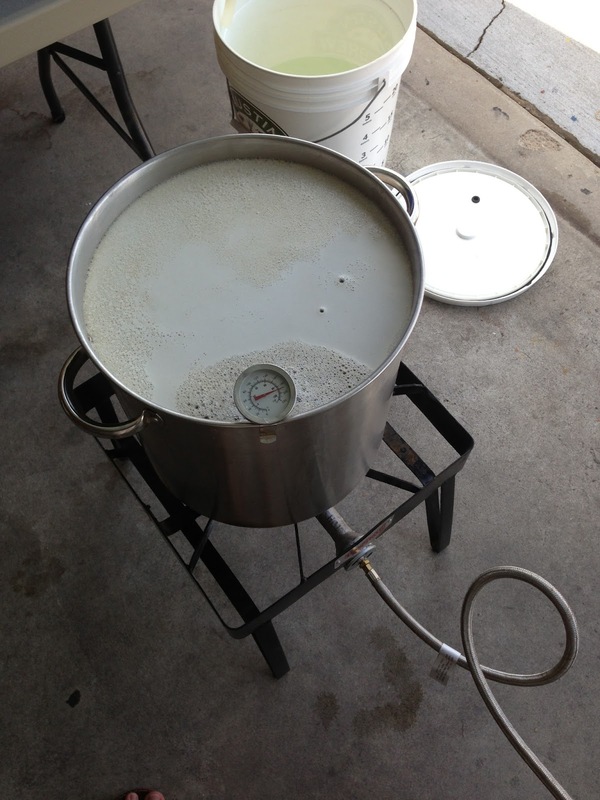 Along with the Northwestern Ale 1332 yeast this pale should have some nice malt backbone to compliment the hops. Then again it could be a bad idea. Experimentation on my part but sounded fun so I brewed it! It's almost ready for a dry hop and has had plenty of activity lately. I'm excited to get that beer ready for drinking as I'm a huge fan of Rakau hops. 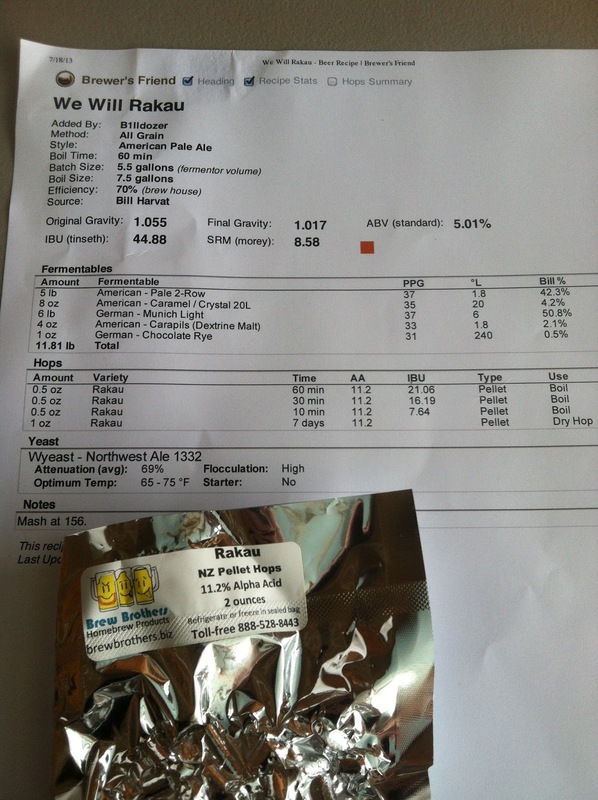 My friend David brews a Rakau pale ale and I'm hoping mine turns out half as good as his. Because it's excellent. We will, we will Rakau! So I'm sitting on quite a few beers lately. Gearing up for my first real lager in quite a while. And all of a sudden competition season is hitting. There are quite a few state fairs this time of year, and the homebrewing competitions are plentiful. 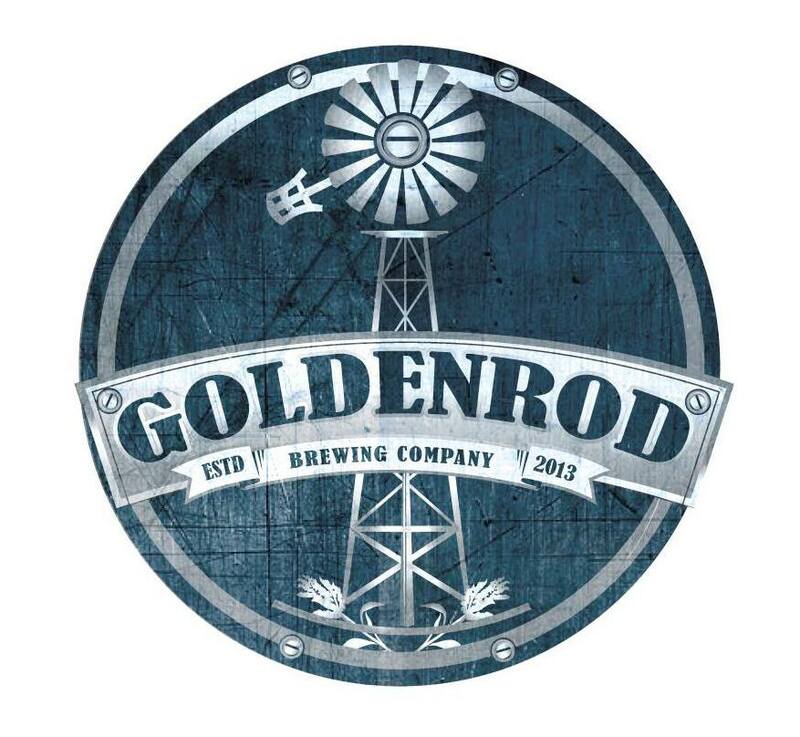 I entered several of my beers in the Sioux Empire Fair, and I'm gearing up to enter more in the Nebraska State Fair and the River City Rodeo. 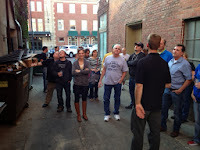 I'm hoping that some of my beers will come back with good comments on how I did overall on the brews. And what I can do to improve them. If I end up with an award or two I'll definitely be stoked too. We shall see. I have only ever entered one true BJCP competition before and that was a Nebraska Shootout a couple of years ago. 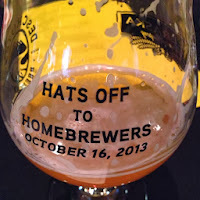 This year I plan on brewing and entering in whatever I can. I figure it's good for my education about the styles. And it will let me know if my recipes are landing where they need to be within the styles as I brew them. Not to mention the best critic of your own work is going to be an outside party with no bias. I have friends tell me my beer is great all of the time. "I would BUY THIS!" is the common theme. But any friend who tells me that is immediately on my radar as a person I will probably not take too seriously when asking their opinion. 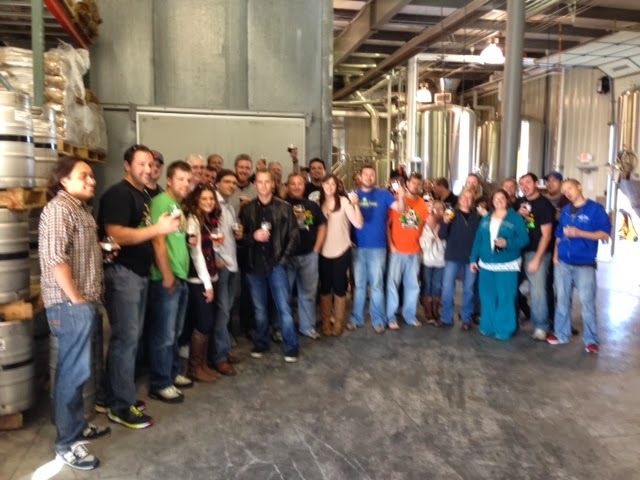 I have found that usually the people who find faults in my beer are the ones who I strive to brew for. 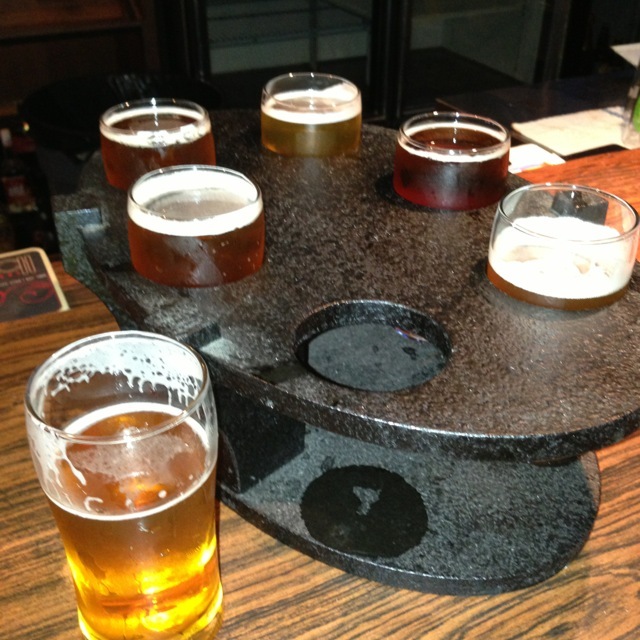 I want to make good beer. And I want people to enjoy it. Anyone with a palette that can describe style, aroma, taste, and give me a good insight on their perceptions of beer. Those are the people that get me stoked about brewing. Don't get me wrong. 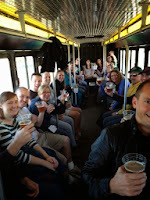 I still love to share my beer with all of my friends. But the ones with good, useful information to reciprocate. Yeah. That's where it's at. 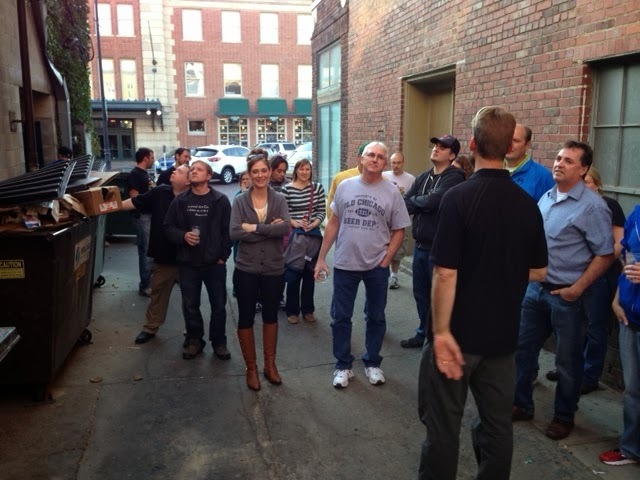 Brewing Lots of Beer, Union Labs & Testing and Infusion Brewing Company! Happy Tuesday people! Last night I kegged up three different beers. Lets just say I have been extremely busy with brewing lately and I probably need to wait for a while until I brew more. 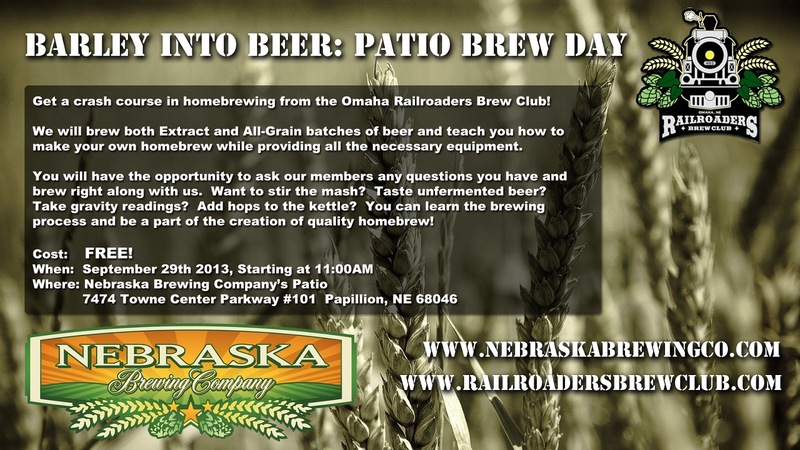 But then again I love brewing and see no problem with having 50+ gallons of beer in my basement at any given time. My wife on the other hand....well we negotiated that 3 beers a week is too much, so I'm going to try and keep it to one. Which will probably turn into one every other week being that I am running low on grain. Can't wait for the next group buy. Let me tell you. 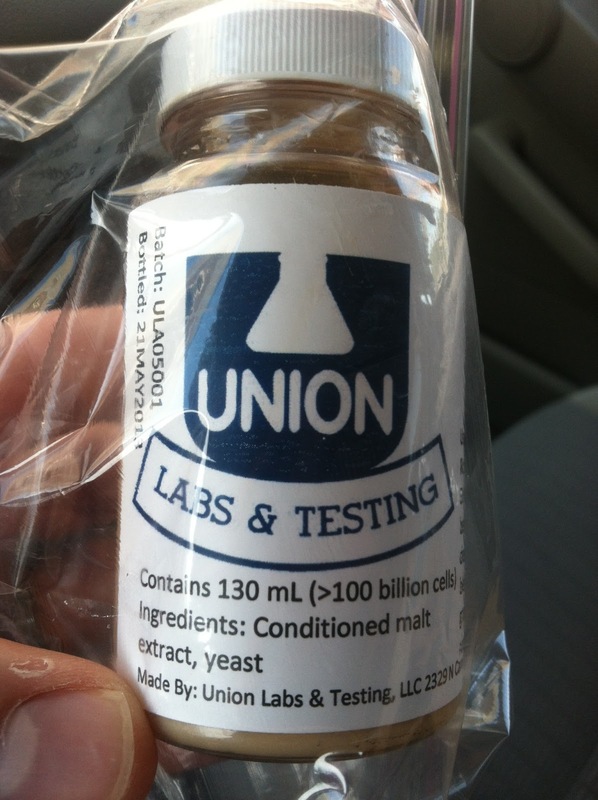 So Union Labs & Testing is a new yeast production facility up in Sioux Falls, South Dakota. 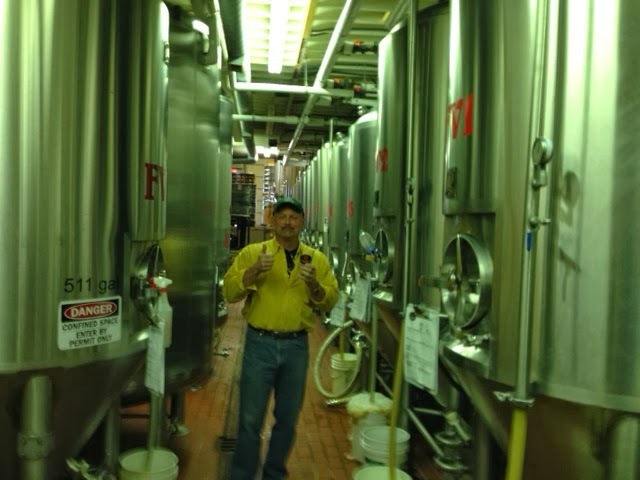 They make one strain of yeast as of yet, which is an "American Ale II" yeast. I was given a pitch of this yeast as a sample from Jim at Cornhusker Beverage. 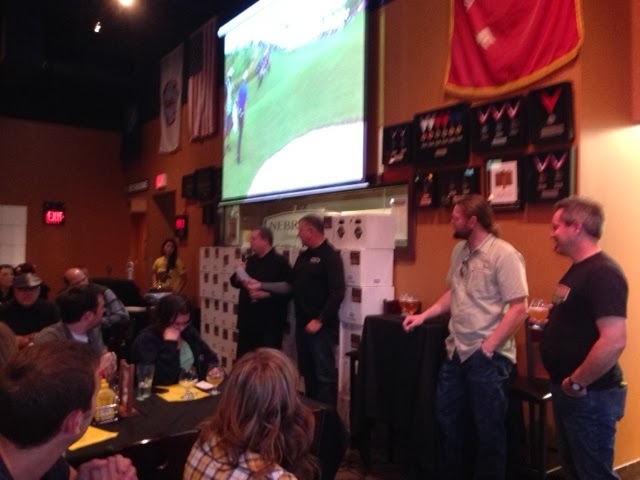 He said they will start carrying it and selling it at their homebrew shop. I have since been back there and they do have it in stock for sale. It is a little bit less money than Wyeast or White Labs. If you feel like giving it a shot I'd say go for it. 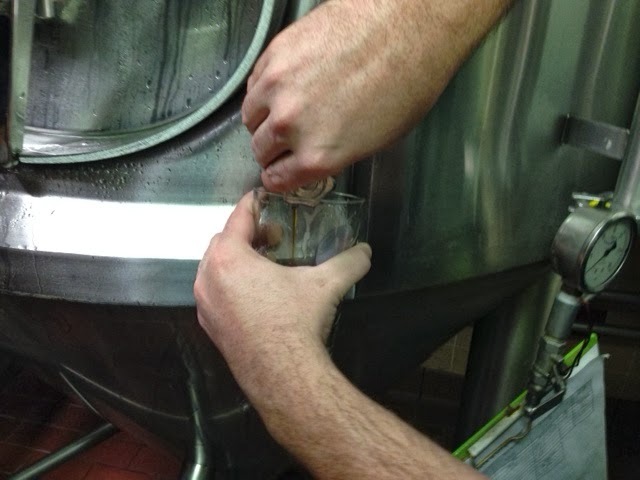 The yeast attenuated and flocculated with no issues. 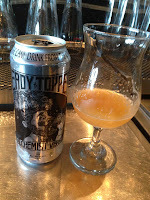 I tasted my Cream Ale last night and it tasted very clean and like a well fermented beer. With a FG of 1.009 it did a little bit too good of a job, but that's okay I still stayed within style and ended up with a 5.51% Cream Ale. I would rate the yeast as a good alternative if you want to try something different and save a buck. I'm hoping to drop by there in September when my band plays at Lifelight Festival. Maybe I can find out who to contact and get a tour. That would be cool. 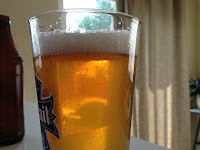 The next beer I made was a Saison. I wanted to stay in style but I really wanted to try out my new Nelson Sauvin hops I had received in the mail from Nikobrew. 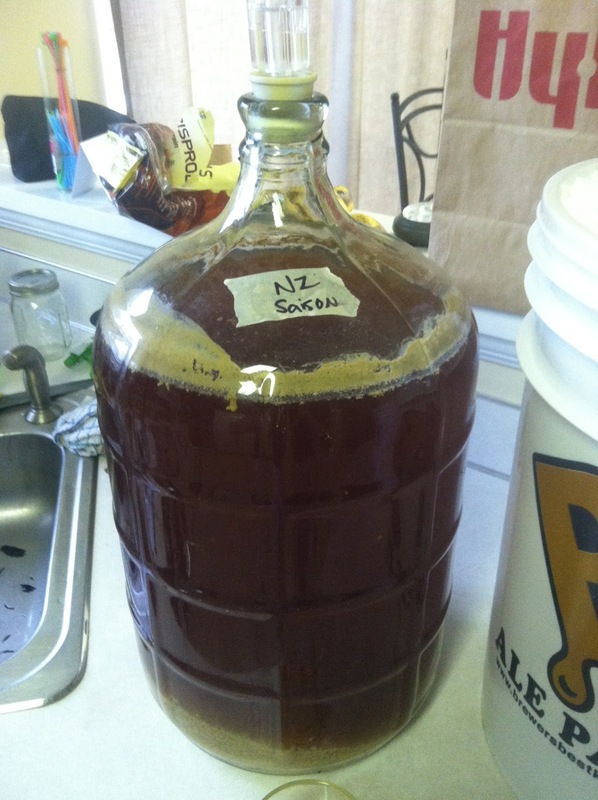 So I figured it wouldn't be too crazy to use those instead and make a NZ Saison. 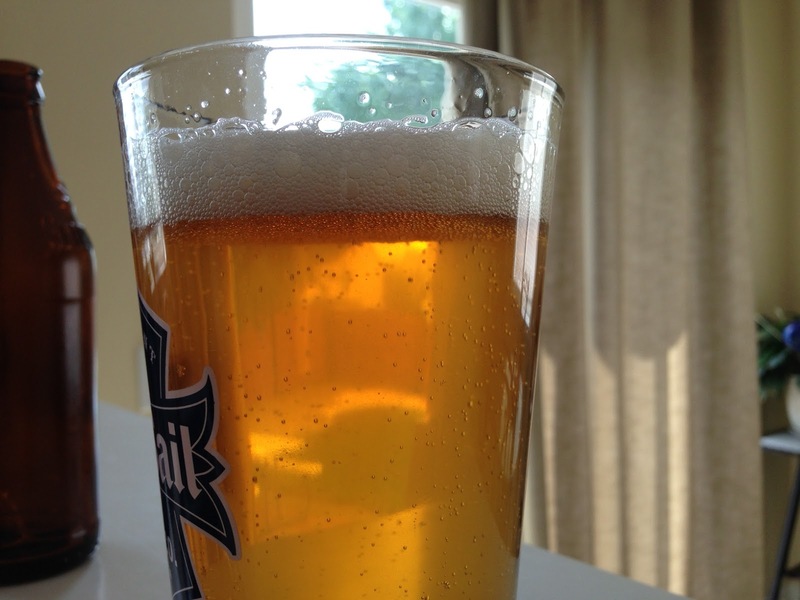 I named it "Saison De Lawn" (Recipe Here) and used 3711 French Saison yeast in it. The beer fermented at 68 degrees during the entire fermentation and ended at 1.008 FG. I kegged it up last night and tasted it. I have to say, I cannot wait for this beer to carb up because it tastes phenomenal! 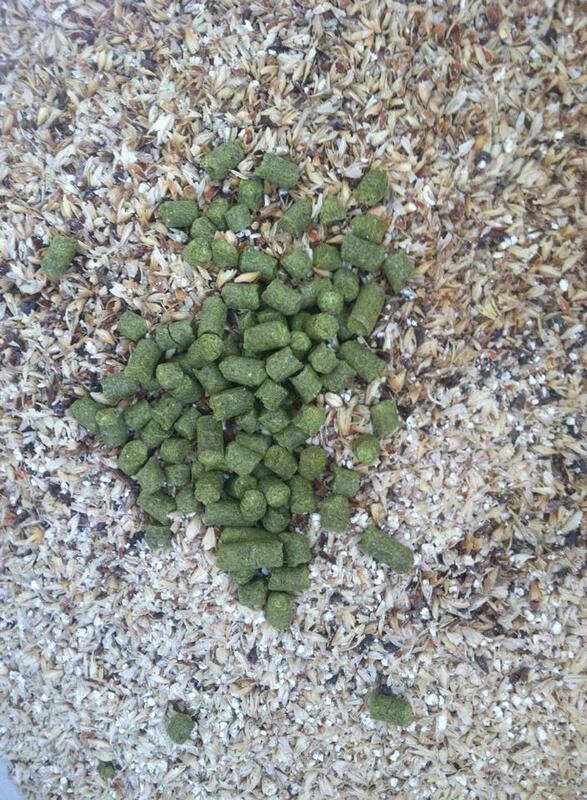 I am very excited about Nelson Sauvin hops and believe they are going to go in more of my beers in the future. It has a nice white wine and grape taste that makes the saison very smooth to drink. 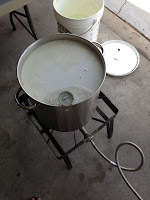 Finally I spent another brew day last Monday making a Scottish Export 80 (Recipe Here) which was my very first single infusion mash on a beer. 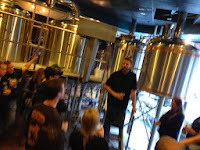 I also mashed in at 158 degrees which was maybe a bit high...but I listened to Jamil describe his methods in his podcast and he said he would mash fairly high on these beers to bring out the malty taste. I stuck with a single hop on this one and went with three additions of EKGs. 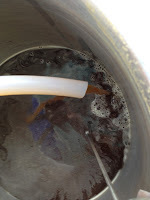 After the boil I placed the beer in my fermentation chamber at 58 degrees. It has fermented completely but I'm leaving it in there to make sure I don't get any esters from the Scottish Ale yeast. 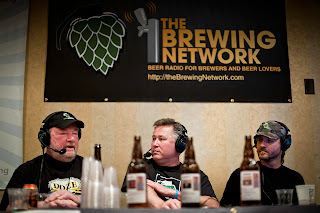 I have read plenty of people having success with the yeast as long as it is fermented cool. I have also heard horror stories of people fermenting with it at 70 degrees and ending up with nasty feet beer. I don't like to drink nasty feet beer. Just saying. 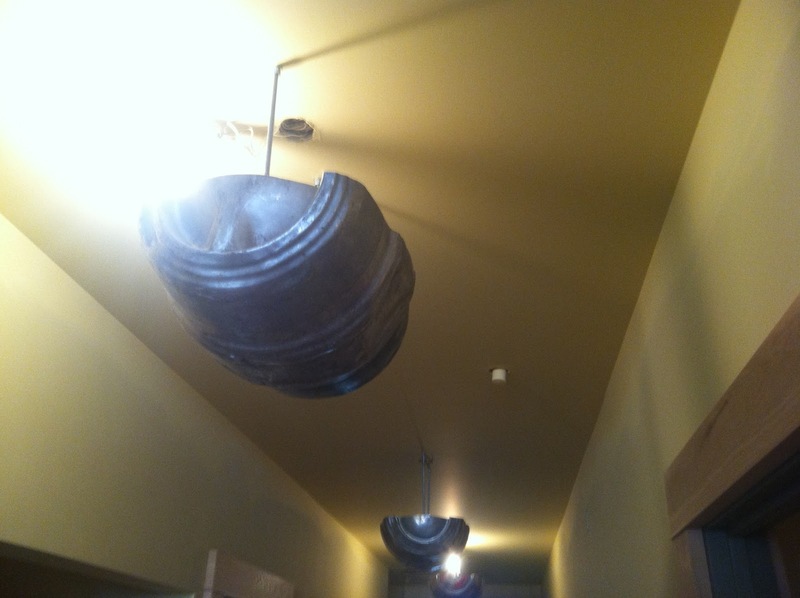 Lights made out of kegs. Awesome! 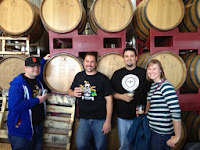 The other thing I wanted to talk about was my visit to Infusion Brewing Company in downtown Benson, Nebraska. 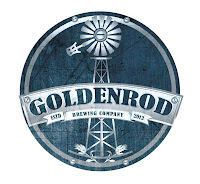 This is a new brewery set to open up in late August. I was fortunate enough to get a tour with brewer Max Stewart. He showed me around the place and let me get a sneak peek at what they're building over there. 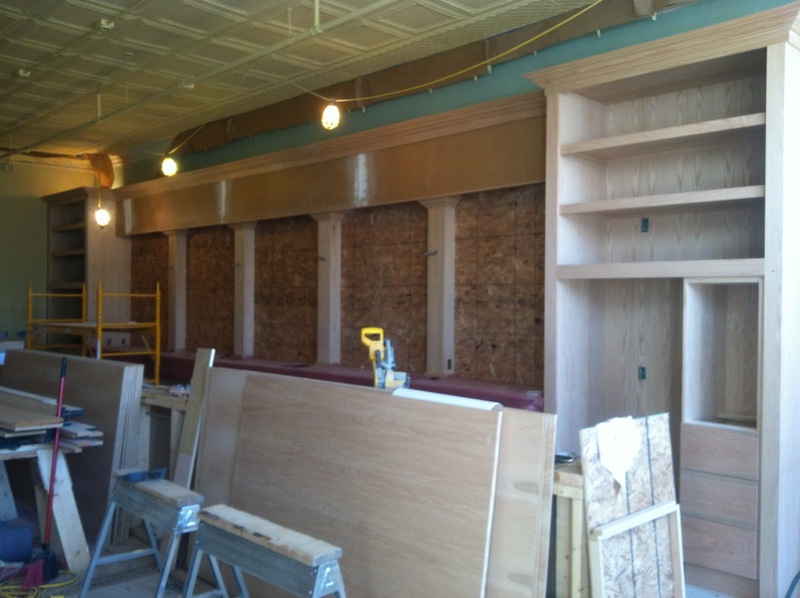 There's a lot of history behind the place, as it once was a butcher shop and will have a sort of built in meat market for people to enjoy sausages and deli style items with their beers once open. 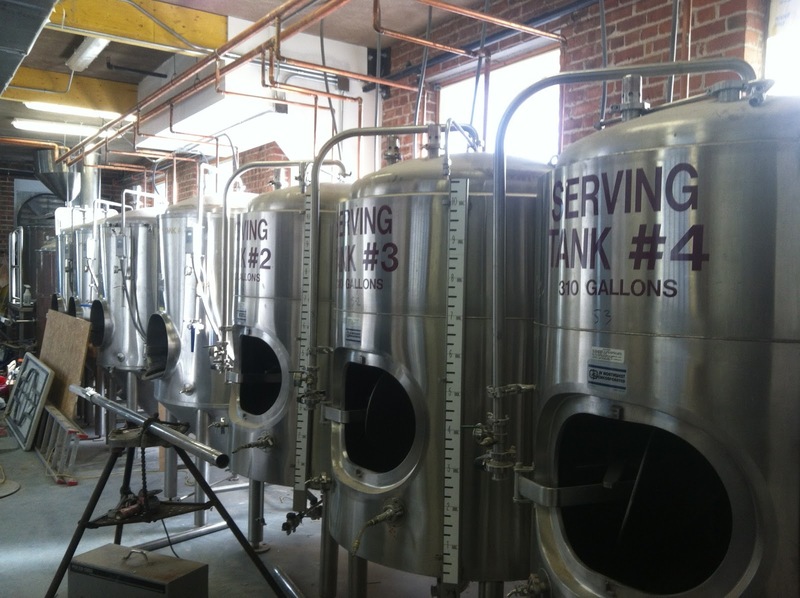 They also recycled their brewing system and most of their tanks from a defunct brewery in the Old Market. If you want to learn more about that there's a great article here where you can read on in more detail. The place looked really cool and was larger on the inside than it looked from the outside. They have two levels to work with (main floor and a basement with a sizeable cooler) and plenty of room to make lots of beer. 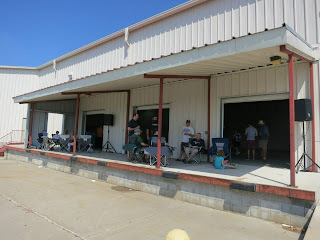 I can't wait until they open because Aaron and Max have been making great pilot batch beers already and bringing them out to festivals as a preview. Everything they're doing is really exciting and I had to pick up my own Infusion t-shirt at Sunfest to wear and get the word out about this great new brewery. 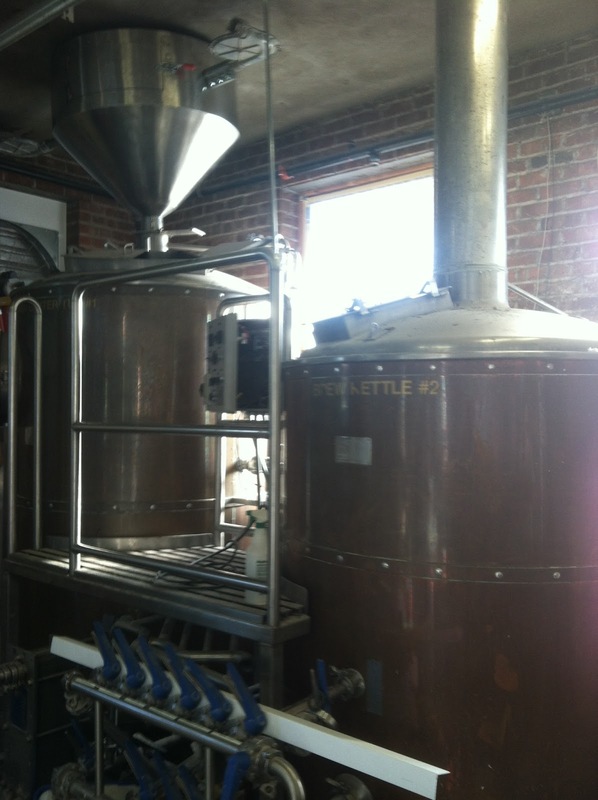 I'll leave you until next week with some great pictures of the interior of the brewery. Seems like things always get so busy that I can never keep up with what I love to do. But this summer has been good to me. And I figured it was well past time I actually get back on here to do an update. I have been neglecting this blog for quite some time. So now I'm putting reminders in my phone to do a weekly update so I can get this baby rolling again. Where to begin? Well. The last time I even updated this blog was last September. So a lot has happened. During the winter a storm came through and destroyed the gazebo in my back yard. The amount of snow piling up on it was just too much for it to handle unfortunately. So the hops had to be transplanted into buckets and I have given them to my friend Luke who is going to plant them in his back yard for this season. I'll get rhizomes from the plants next spring to start again once I can get a new gazebo built. 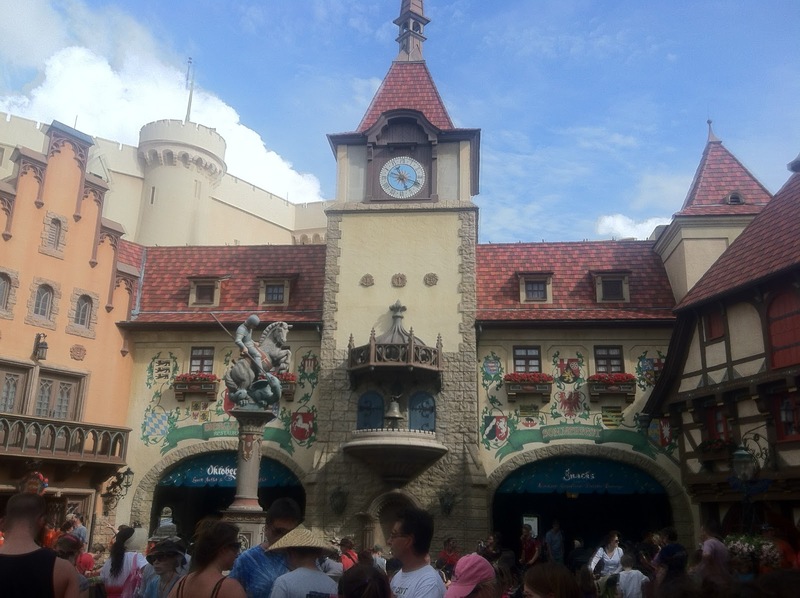 This spring there were competitions and events but I was busy getting work done for conference in Orlando for my job. 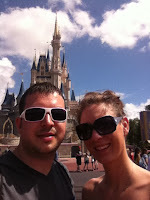 The wife and I spent time enjoying Universal, Disney World and Epcot. Then it was time to work. Which was...well...a lot of work. But after that was said and done it was back home to Homaha. Where I could finally start brewing again. 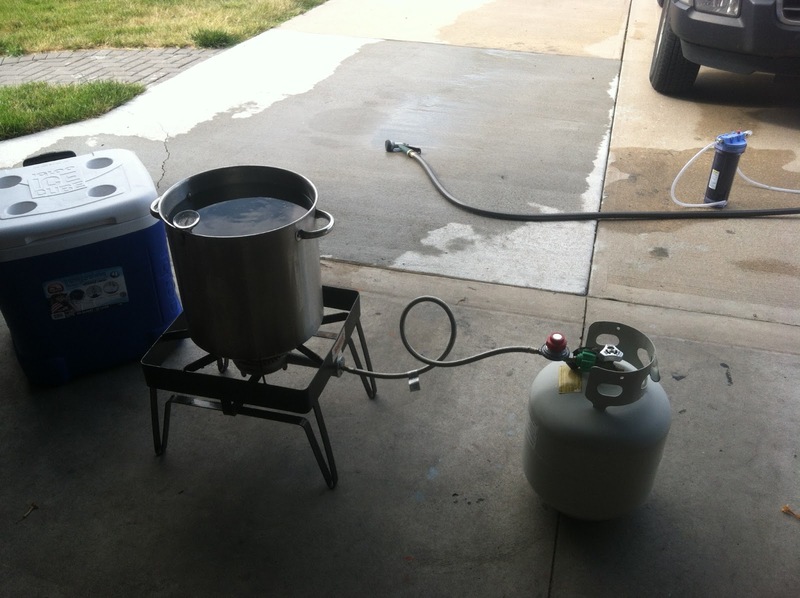 The first batch I made was ten gallons of IPA. 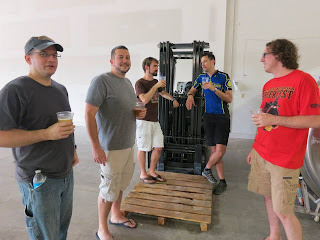 After that though I had a desire to make more styles than large quantities of beer. 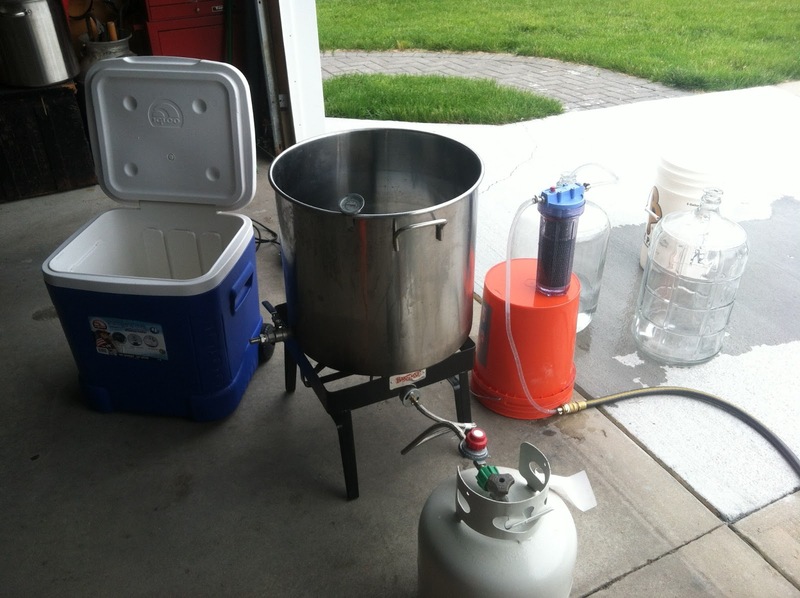 So I busted out the 5 gallon setup and have been brewing smaller batches. Not only because it's more fun because you get to brew more, but because I get to create more styles and try to make them the way they're supposed to be. I have been going through the Brewing Classic Styles book and picking out styles, creating recipes similar to those in the book...and brewing. Once I started up again I couldn't stop. 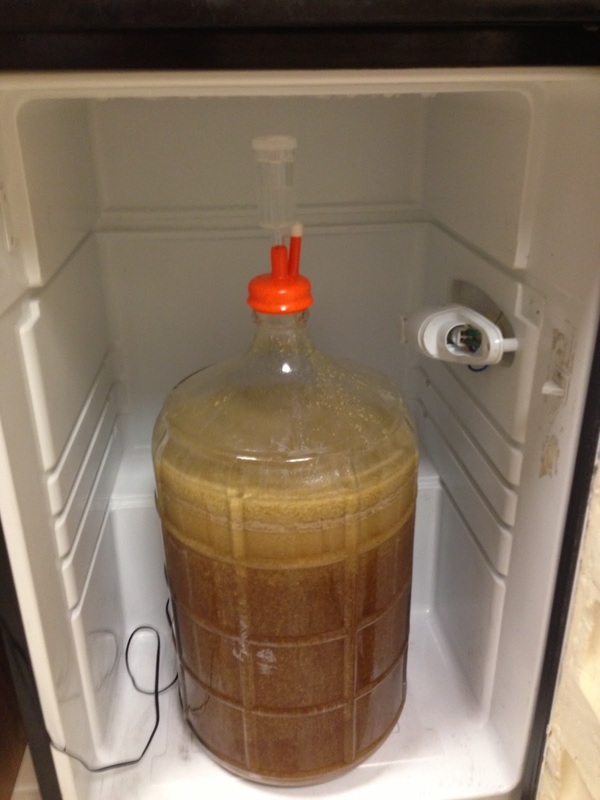 I currently have been brewing more, and better beer than I have ever made. I acquired 4 new corny kegs too. Which brings my grand total up to eight. That's a lot more storage capacity for beer. And now I need another freezer. We'll see how long I can make it without one. Probably not long. Although I'll have to figure out a way to justify buying one to my wife. Which may be more difficult than one would think. So here is my grand plan. Go through and make at least one beer from each of the styles outlined from the fantastic book Mr. Palmer and Mr. Zaynachev put together. And I can start this quest by blogging each one and sharing my recipes. I already have a great head start on this. But it should give me something to blog about for quite some time. As long as people keep reading it and caring. I'll keep making blog posts. We'll see how far it can go. 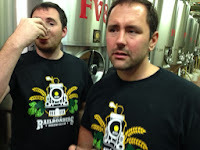 This week lets talk about one I'm brewing tomorrow (Friday) and one I previously brewed that is already lagering. 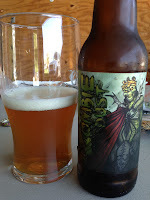 I chose this recipe because under the BJCP guidelines under category 7C it states that this beer has an assertive hop bitterness from noble hops. 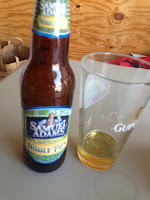 I really like the idea of a top fermenting beer that I can lager and get a great smooth, malty "not quite a lager" ale that still packs a little hop kick. I did a mash at 152 with a batch sparge after 60 minutes. 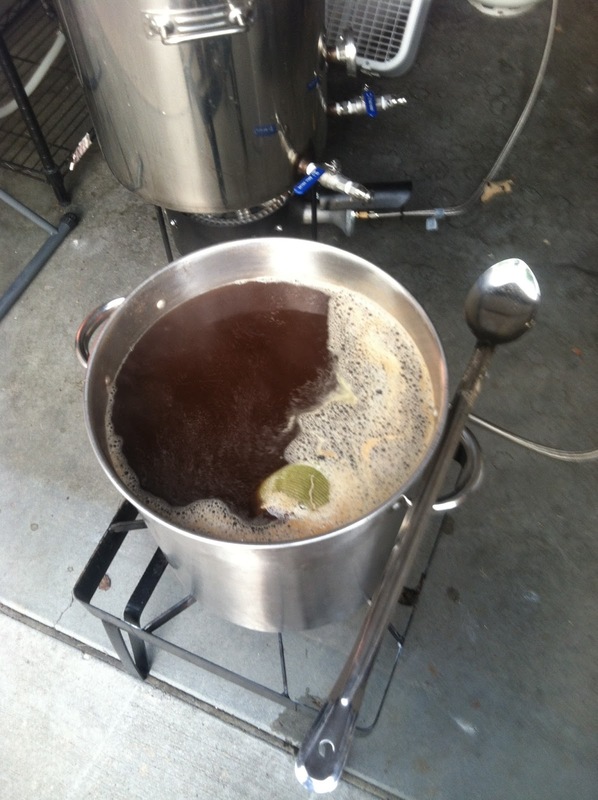 During the boil I added three additions of Tettnang Noble hops. I have always been a fan of the Samuel Adams beer "Noble Pils." While I realized this beer would not be like it in the malt character, I was hoping to hit something similar with the hop character. If you are unacquainted with which hops are noble hops there's a good description and explanation of them on Wikipedia here. I have used Saaz a whole heck of a lot. (Being that it's one of my most favorite noble hops) and Hallertau is in just about anything with the word "lager" on the bottle. So Tettnang seemed like a good hop to try out on a beer like this. I didn't go overly crazy with the hops. But you can definitely tell they're there after 2 weeks of lagering. 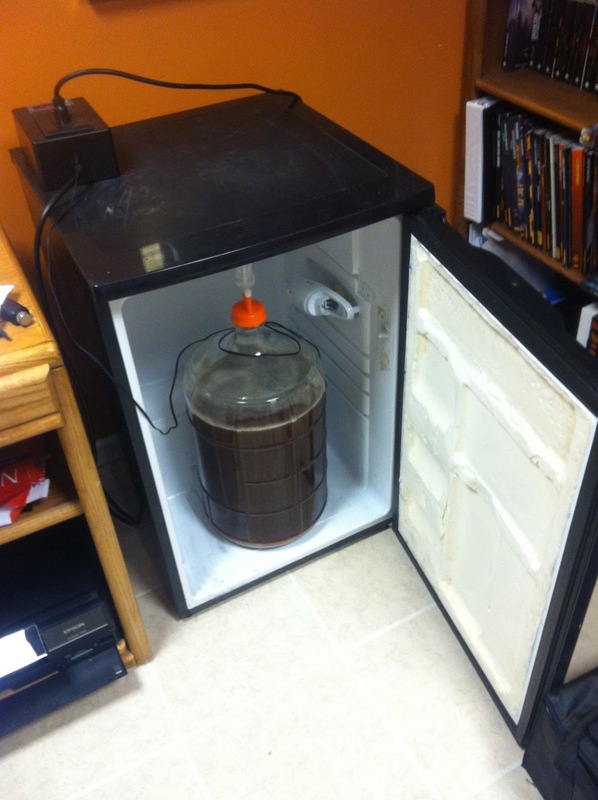 After my boil I cooled with my wort chiller and set up my carboy in my fermentation chamber. I fermented at 60 degrees the entire time and ended up with a 1.052 beer (Almost spot on!) that fermented to 1.012 by the end. The yeast did a great job. 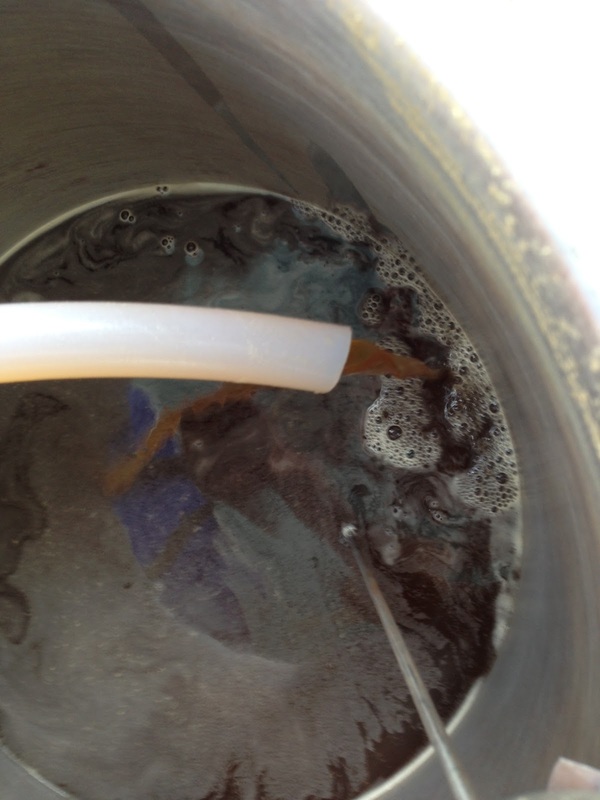 And after two weeks (like I said) I have tasted it during lagering at 37 degrees. 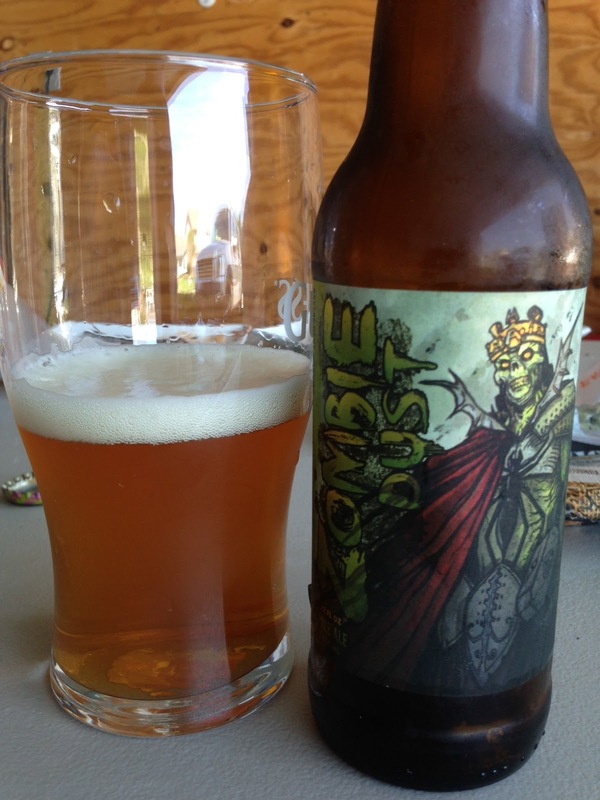 It is very smooth, drinkable, malty and has a great hop flavor from the Tettnang. I'm very pleased with it thus far and cannot wait for weeks four and six of lagering. 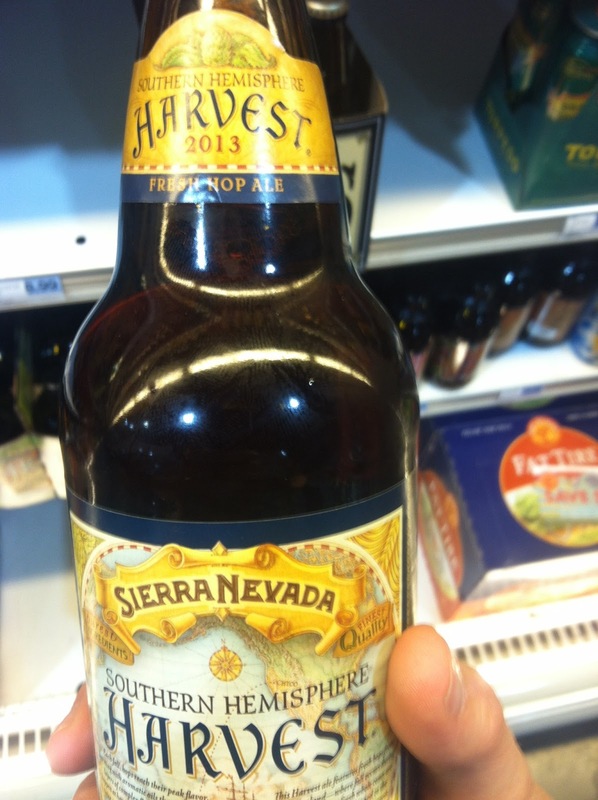 One of the beers I have grown to love over the years is Sierra Nevada Southern Harvest. This beer has a great hop freshness and it's very appealing to me because all of the hops are imported from New Zealand right at harvest when they make the beer. I think the idea of trying out new varieties of hops that other homebrewers around town haven't necessarily made beer with yet is pretty neat. So I went ahead and acquired some Rakau from my friend Dave in a trade. 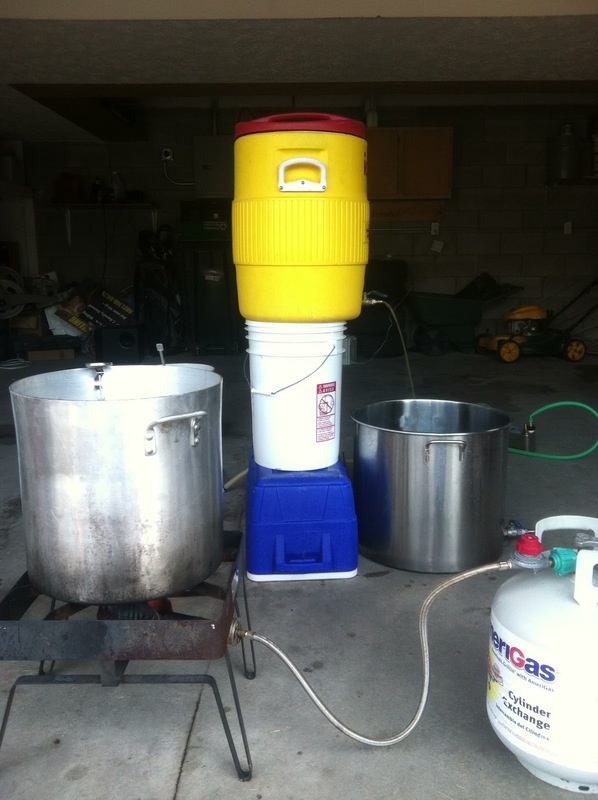 I am also getting some Motueka in the mail and plan on making a New Zealand style IPA. We'll see how that goes and if I get the Motueka in the mail by tomorrow. If not I can always wait on this beer and make a "Janet's Brown Ale" as I have the supplies. 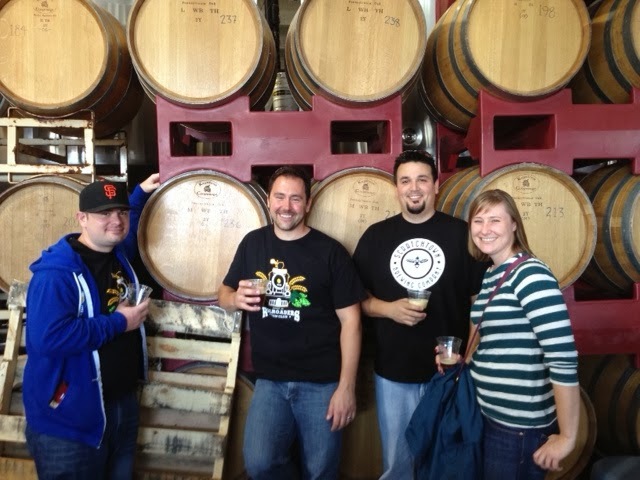 More on these beers in the next blog. Until then I hope this gives you something to look forward to! Thanks for reading.